Bonnie Hunt created, wrote, and starred in this short-lived CBS sitcom given from 1993. The network only aired five of the six episodes produced before cancelling it due to low ratings. When David Letterman moved from NBC to CBS to start hosting Late Show with David Letterman in 1993, his contract called for him to executive produce a sitcom called The Building . Bonnie Hunt created the show and served as an executive producer. The series was a co-production between Hunt’s Bob & Alice Productions, Letterman’s Worldwide Pants Incorporated, Columbia Pictures Television, and CBS Entertainment Productions. According to Bonnie Hunt, she thought up the show in 1989 and wrote 13 scripts. A few years later, when she was appearing on Davis Rules on CBS, she brought the idea to CBS President Jeff Sagansky. “Jeff said it was OK,” she told The Los Angeles Times in August 1993, “but it is not very funny joke-wise. We did it one night in the basement of CBS in an empty rehearsal hall. They bought the show about 10 minutes after they saw the presentation” . CBS told her she needed someone to run the show with her. Bonnie called her friend David Letterman. “He had already known about the show and loved the prospect of it,” Hunt recalled. “He loved the pilot before I even edited it. He was given the whole rough cut and we talked back and forth about what to cut out and what to leave in” . Bonnie Hunt starred in The Building as Bonnie Kennedy. The fictional Bonnie is an aspiring actress best known for a series of carpet commercials. After her fiance dumps her, she moves back to Chicago and into the apartment building across from Wrigley Field where she used to live. As an actress, Bonnie Kennedy is best known for being the Randolph Carpet Girl in a series of local commercials for carpet cleaner. Holly Wortell played Bonnie’s best friend Holly, a waitress at the G&L Fire Escape, the local bar where the friends often gathered. Don Lake played Brad, an unemployed columnist who regularly mooches off of Bonnie. Tom Virtue played Stan, an actor and Brad’s roommate. Richard Kuhlman played the foul-mouthed Big Tony, married with several kids. Mike Hagerty played Finley, a firefighter and bartender at the Fire Escape. Hunt and the rest of the cast were all former members of The Second City improv group. 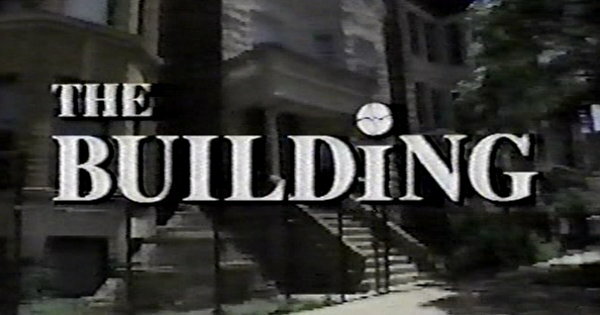 Although developed alongside numerous other potential series for a fall launch, CBS opted instead to order just six episodes of The Building and give the sitcom a summer tryout. David Poltrack, the network’s senior vice president for planning and research, unveiled the late-summer strategy in mid-June. The hope was to give the network the opportunity to develop mid-season replacements during the summer months when they could receive additional promotion. “So basically,” Poltrack explained, “we will try out our backup series in advance of the season, not in the middle of the season” . The summer debut didn’t bother Bonnie Hunt. “Everyone hopes to get a fall slot,” she told The Los Angeles Times , “but I’m just happy to get on the air” . Other sitcoms CBS planned to roll out during the summer included The Boys, Tall Hopes, and Big Wave Dave’s. CBS scheduled The Building‘s premiere for Friday, August 20th at 9PM ET, followed by the premiere of The Boys at 9:30PM. Critics raved about The Building‘s rapid-fire dialogue and how the characters talking over one another. It was definitely not just another sitcom. The Wall Street Journal‘s Dorothy Rabinowitz praised Hunt and suggested “it’s not to early to see that this is a sitcom with possibilities” . It’s Hunt’s clever writing, John Bowab’s directing and the cast’s improvisational rhythms and impeccable comic timing that sets ‘The Building’ apart from the crowd,” wrote Howard Rosenberg in a review for The Los Angeles Times . Hunt makes her character more recognizable and more believable than most sitcom creatures are, and the supporting players give every indication of being able to grow on you. Not every critic was effusive with praise, however. “The first program of the series […] has its amusing moments but shows symptoms of skititis,” wrote Walter Goodman for The New York Times . It was viewers, not critics, that CBS hoped to attract with its summer tryouts. Yet despite the praise, viewers didn’t tune in. The premiere of The Building ranked 50th out of 83 shows for the week with an 8.0/16 Nielsen rating/share. It ranked second in the 9:30-10PM ET time slot and improved somewhat on The Boys series premiere, which drew a 6.6/13 from 9-9:30PM. 11.1 viewers watched The Building; The Boys by 9.3 million . CBS announced on August 24th it would flip the time slots for The Building and The Boys. Beginning Friday, August 27th The Building would air from 9-9:30PM ET followed by The Boys from 9:30-10PM. The swap, according to a network spokesman, was nothing more than CBS “experimenting with the time slot to see how [the shows] do” . Mike Hagerty as Finley, Tom Virtue as Stan, Don Lake as Brad, and Richard Kuhlman as Big Tony. The move backfired. Both shows dropped in the ratings in their second outing but The Building actually fared worse. It dropped from 11.1 viewers to 6.6 million viewers while The Boys went from 9.3 million to 6.9 million . For the next three weeks, the two shows performed about the same. Both were very low-rated. The ratings disappointed CBS enough that the network decided not to air the sixth episode of either show. The final episodes aired Friday, September 17th broadcasts. The next week, CBS aired the made-for-TV reunion movie The Odd Couple: Together Again. In December 1993, The Washington Post referred to The Building as one of TV’s “noble failures” in a look back at the year in television . CBS never repeated The Building or The Boys and neither were syndicated. The Paley Center for Media has a copy of the series premiere in its collection. If The Building was weak on plot that’s only because plot was secondary to the characters. The series premiere, for example, consisted of little more than Bonnie returning to her old apartment building and running into old friends and making new ones while trying to decide whether to meet with her former fiance. George Clooney guest starred as the ex-fiance. In another episode, Bonnie and Brad find themselves being held hostage at an adult video store by a masked robber. Bonnie was there to bring Brad his wallet. David Letterman played the robber in an uncredited appearance. Other episodes: Richard Kind played the fussy director of a commercial Bonnie hopes to book; Bonnie falls apart on live TV when the obnoxious host of a talk show (played by Jim Belushi) continually berates her; Bonnie works at the bar but has trouble getting tips. A few episodes hinted at a potential romance between Bonnie and Stan. The Building ended before it could be explored. The sixth episode, unaired by CBS, involved Bonnie reminiscing about old times with a former neighbor played by John Randolph. 1 Carmody, John. “The TV Column.” Washington Post. 15 Mar. 1993: D06. 2 King, Susan. “Bonnie Hunt: Building a Sitcom.” Los Angeles Times. 15 Aug. 1993: 6. 4 McClellan, Steve. “CBS to give summer tryouts.” Broadcasting & Cable. 21 Jun. 1993: 30-31. 5 Johnson, Ted. “On View: Summer Tryouts: New Pilots Face a Reality: Few Will Get Second Run.” Los Angeles Times. 11 Jul. 1993: 8. 6 Rabinowitz, Dorothy. “Hepburn, Hollywood and Elvis remembered.” Wall Street Journal. 12 Aug. 1993: A10. 7 Rosenberg, Howard. “TV Reviews: ‘The Building’: Constructed for Laughs.” Los Angeles Times. 20 Aug. 1993: 29. 8 Shales, Tom. “TV Previews; A ‘Building’ With a Solid Foundation.” Washington Post. 20 Aug. 1993: D01. 9 Goodman, Walter. “TV Weekend; Whitaker Directs Tale of Walking on the Wild Side.” New York Times. 20 Aug. 1993: D.15. 10 Wong Briggs, Tracey. “Newsmagazines take five of Top 10.” USA Today. D3. 11 Snow, Shauna. “Morning Report.” Los Angeles Times. 24 Aug. 1993: 2. 12 Gable, Donna. “NBC’s ‘Now’ jumps right into top 10.” USA Today. 1 Sep. 1993: D3. 13 “Tom Shales’s Best & Worst.” Washington Post. 26 Dec. 1993: G03. I tried to like this show but it came across to me as a unnecessary extended “Saturday Night Live” sketch. A charming show, once you geared into its rhythm … but it looked like it was shot on a budget of about 17 dollars. Bonnie Hunt’s wind-blown appearance in the opening credits typifies the approach: The Building was so pathologically determined NOT to be slick, it wound up deliberately obscuring a large portion its appeal.